Herts & Essex Community Farm is a non-for-profit community project. We started in October 2013 as there was a need in the community for more growing spaces, with the purpose to increase access to fresh, healthy, sustainable food and provide a shared space for people to cultivate skills, get exercise and make friends. We’ve had over 200 volunteers so far. Our farm sits on a ex-allotment site in Fold Croft, Harlow. The site is approximately just over 0.5 acres with a stream running along one end. To develop and maintain the orchard, vegetables and fruits grown using organic techniques. Develop wildlife habitats to support organic gardening and conservation. Conserve local fruit tree varieties planted in the orchard. Grow heritage and other fruit & vegetable varieties and save seed for future use. Show participants how to grow food in a sustainable way. Give access to fresh food to the local community. Provide an opportunity for people with learning disabilities and mental health problems to learn practical and personal skills. Provide an opportunity to local residents to learn gardening/farming techniques for fruit and vegetable growing and also animal care. Encourage children to engage in gardening and conservation through school activities and family focused events. To be community led and non-for-profit. We aim to be: transparent, professional, democratic, inclusive, passionate, collaborative, innovative, inspiring, fun, pragmatic, promote equality and demonstrate leadership. Volunteers are key to Herts & Essex Community Farm and we strive to be an inclusive space for the community, shaped by the community. People come to Herts & Essex Community Farm to share their skills, take a break from the office, or just because they love local food. 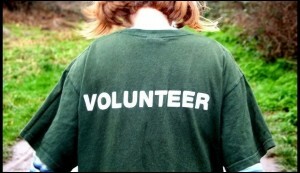 We run regular volunteer days and many other events throughout the year. We aim to make Herts & Essex Community Farm accessible to as wide a range of the public as possible and are committed to ensuring that everyone is treated fairly. This year we are continuing to design the site for maximum accessibility and inclusiveness. We cater for many volunteers and do everything we can to ensure there is varied, interesting and meaningful opportunities for people. We are thankful to all our volunteers for their work and contributions, but also their patience as we learn to operate and succeed as a community farm. The farm sits on an ex-allotment site in Fold Croft, Harlow. The whole site is approximately 0.5 acres and is owned by Harlow Council. We use organic growing techniques and permaculture throughout the land, we want to work alongside nature.